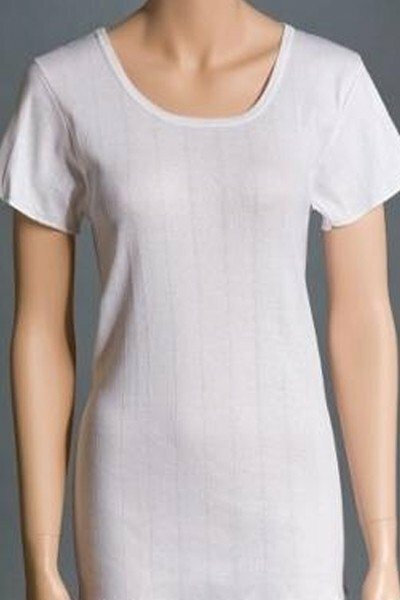 Short sleeves make this undershirt ideal for individuals who are generally cold. Stretchy neckline makes it easy to get over the head. Mid-hip length. Soft 100% cotton, fine-rib knit. White.